NeoScum is a narrative comedy podcast featuring five Chicago improvisers antagonizing their way through the roleplaying classic, Shadowrun. It follows a group of misfits and outsiders: a chromehead decker, a teenage candy-junky klepto, a kid's show wizard with a petulant thirst for adventure, and the nastiest trucker this side of the robo-Mason-Dixon. 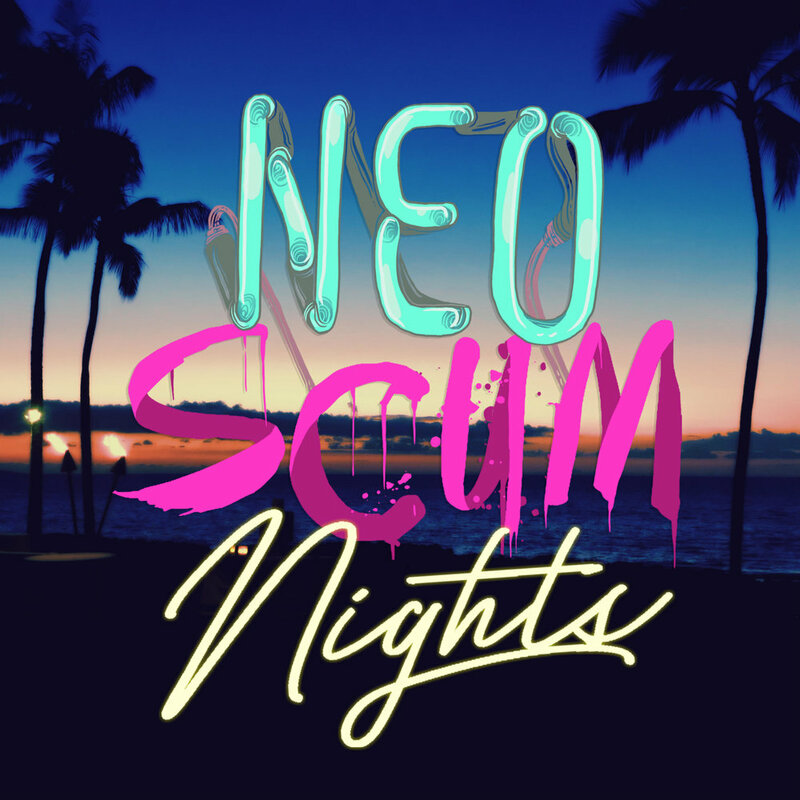 Join the irascible NeoScum crew as they make their way across a strange but familiar America in 2077, doling out street justice to every deeb they encounter – whether they deserve it or not. The full feed of all NeoScum episodes, available to stream or download, entirely for free. The exclusive feed of all NeoScum bonus episodes and content for patrons of the NeoScum Patreon. New to NeoScum? Start with this introduction to the characters, world, comedy, and style of the show. NeoScum is only possible thanks to the generous support of our listeners. Not only can we continue to produce the show with the extraordinary effort and care it deserves, but with your help we're able to explore exciting new creative ventures and mediums, crafting a wide variety of additional original content for you to enjoy. NeoScum is a proud member of the One Shot Network of podcasts. You can find the One Shot site, Twitter, and email at the links below.